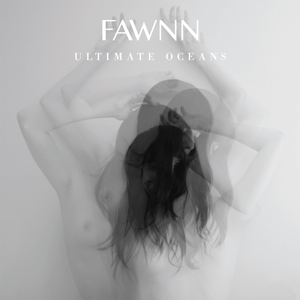 Ultimate Oceans is the follow-up to 2012’s Coastlines, a record that spent a couple weeks in the top 20 of the CMJ Top 200 Charts after having tracks featured by Noisey, Insound, and Consequence of Sound. Lead single “Galaxies” features FAWNN’s signature hooky boy/girl harmonies, melodic guitar interplay and undeniable rhythm grooves, but like many of the more immediate cuts on Ultimate Oceans, the band has added a John-Hughes-era-credit-sequence chorus that is sure to have you fumbling for the “repeat” button. The Ultimate Oceans vinyl release features a spliff-and-headphone-friendly track sequence, complete with lock out grooves so you can continue your trip right on into next week, if you want. And, it comes with a digital download coupon, in case you decide to go back to work at some point and want to keep the party rolling. The Ultimate Oceans digital release includes four remixes by Zach Shipps (Electric Six, Ladytron, Belle Ghoul, Midnight Juggernauts), along with album outtake “Pixelfire,” which is Such. A. Jam.